"San-nin desu ka?" The sounds of the busy authentic Japanese restaurant could be sensed all the way from Main St. When I arrived at the restaurant with my family at 5:45 p.m. late Saturday afternoon, a small crowd had already gathered outside the restaurant. After waiting 45 minutes in which we strolled all around the Main St. and 16th Ave. area, we finally got a table. All the while, my parents were wondering why people would choose to wait such a long time for a table at Toshi than to just visit one of the nice-looking sushi restaurants in the vicinity (there were actually quite a few, and most of them were almost empty). Despite being so busy, everyone who ate at the restaurant had ample space to do so. They did a superb job of making sure that the diners would remain comfortable throughout their dining experience. Ten minutes after placing my order, the first item to arrive was the House Combo, which came on a large plate and consisted of a House Roll, a Salmon Roll, and 6 pieces of chef's selection sashimi. 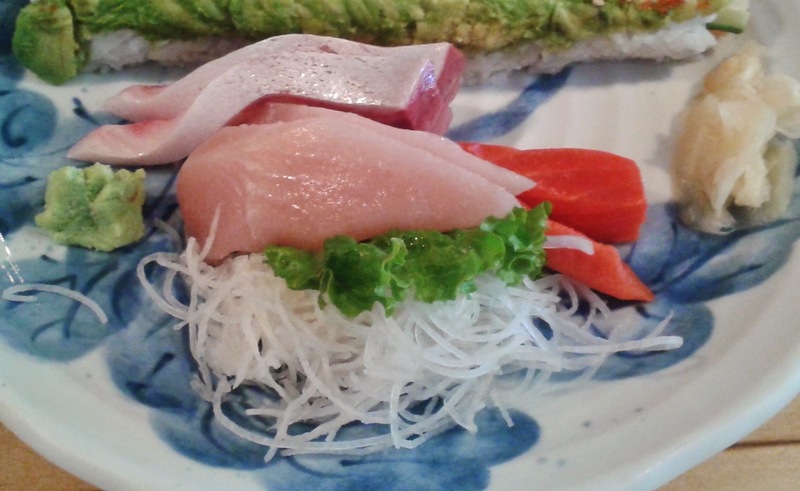 The sashimi included two pieces each of Sockeye Salmon, Albacore Tuna and Hamachi (Yellowtail). Toshi Sushi managed to wow me with the very first dish that came out. The Hamachi Sashimi was some of the best hamachi I have ever had, and it had a smooth toro-like texture. The softness of it was just perfect, as it was almost soft enough to melt in my mouth. The Tuna Sashimi tasted very fresh too, and was mildly salty with just the right amount of flavour. The Sockeye Salmon Sashimi was a bit chewier than the other two, and both my sister and I agreed that it was the least tasty out of the three. The Salmon Roll came with chopped smoked salmon, and the pieces were quite large. However, the rolls stuck together and fell apart quite easily. In addition, I would have preferred if they used Sockeye Salmon or even Atlantic Salmon instead. The House Roll, which came with shrimp tempura, cucumber and avocado. There was a small amount of chili sprinkled on top to give the roll a spicy tinge, which I felt was tastefully added and in the right amount. 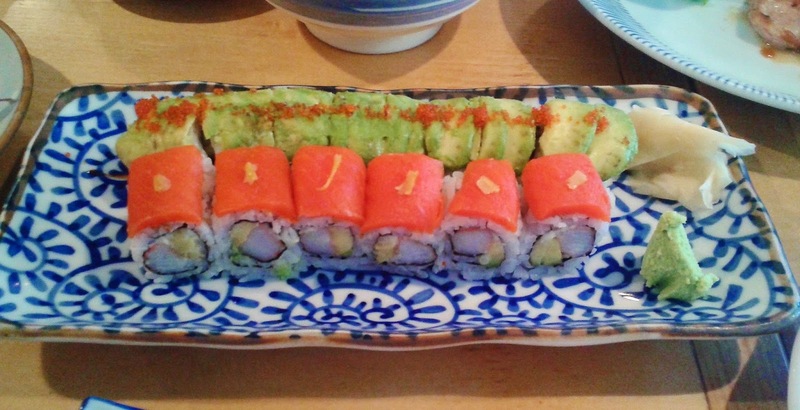 The abundance of avocado made the roll sweet and buttery overall, and blended nicely with the shrimp tempura. The Dragon Roll consisted of unagi, cucumber and avocado on top. I prefer some amount of unagi sauce every time I have unagi, as the sauce greatly helps enhances the taste of the unagi. There was a severe lack of sauce with the Dragon Roll, and as a result, the whole roll ended up being quite dry. However, they were quite generous with the unagi, which made up half (if not more) of the inside filling. The Alaska Roll, which was a California roll with salmon slices on top, used an imitation crab stick which was almost as soft as snow crab. The roll was garnished with a small lemon slice on top and used mayonnaise in the right amount, which helped the roll achieve a delightfully melty texture. My dad had a look at what others were having and insisted that I order something grilled, saying that it was very well done from what he saw. 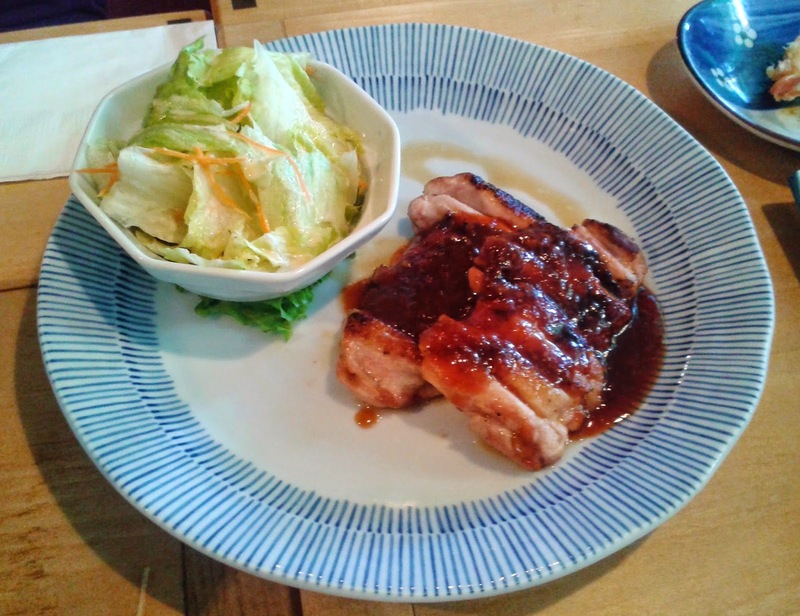 From the Yakimono (grilled food) section, I randomly picked the Chicken Miso Yaki, which came with grilled chicken, sweet miso sauce and a mini salad. Now, I must say, whoever came up with that sweet miso sauce is a genius, certified by me. It was extremely savoury and was an excellent coating to the juicy chicken, which came with a very thin layer of slightly crispy skin. Well, by sheer luck, I managed to pick one of their must-trys! 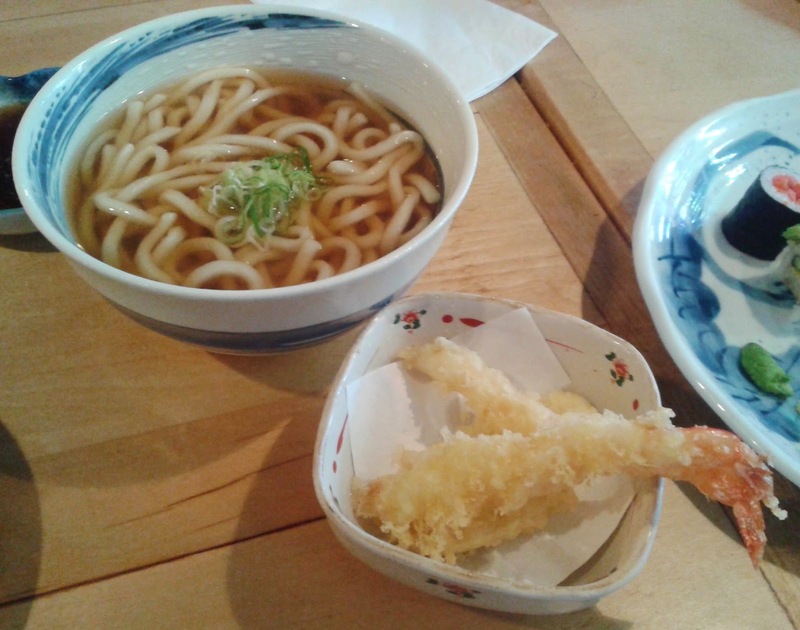 At $5.95, the Tempura Udon is probably the most inexpensive way to get yourself full at Toshi. The tempura consisted of two prawns and one piece of yam. The soft, buttery shrimps were coated with a light, crispy layer of batter. The piece of yam, although quite small, was tasty as well. The dipping sauce that came with the udon was a weak soy sauce with a hint of ginger. The udon noodles were quite easy to chew (with no sign of being mushy) and were surrounded by a very well-balanced broth. Throughout my meal, my parents and I both agreed that there were indeed no misses. 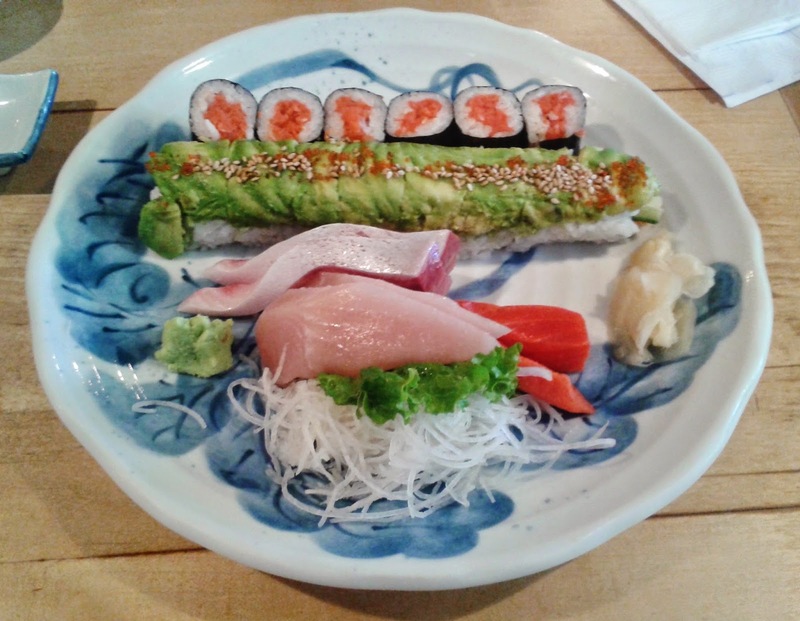 Toshi Sushi puts out excellent grilled food and their tempura is usually a solid choice. Their main weakness seems to be maki sushi (rolls) - sometimes the pieces stick together or the roll ends up being a bit dry. The service wasn't first-class, but was friendly and sincere for most of my visit. From the carefully-prepared grilled/fried food to the fresh sashimi, I could understand why people were willing to endure a 45-minute wait for a table at Toshi Sushi.